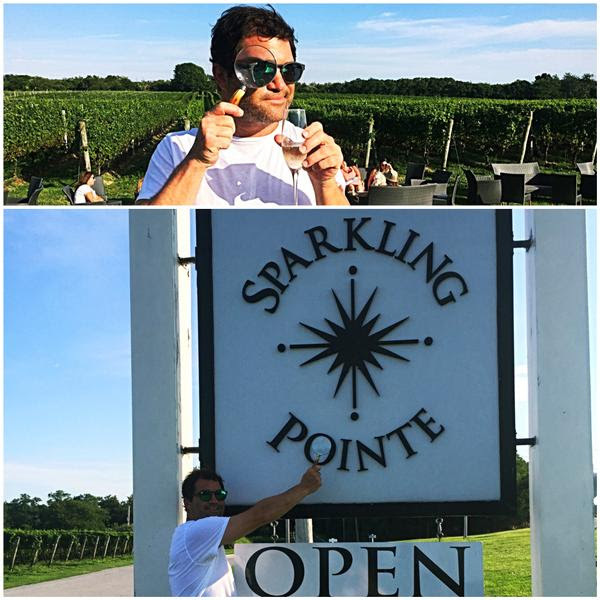 Whether you have a reason to celebrate or not, go to this sparkling wine vineyard for a great tasting selection of wines. They make their wines in the traditional Méthode Champenoise, using only traditional champagne grape varietals (Pinot Noir, Pinot Meunier, and Chardonnay) to make their great wine. They have a beautiful tasting room overlooking most of their acreage, and have caviar, cheese, and other snacks to round out your experience. Salut! Located in the very same courtyard as 1943 Pizza Bar is this very casual and chic bar/restaurant serving up great American fare. With twinkle lights and retro, maritime inspired interiors, this is a great spot to grab dinner (or brunch on weekends only) in Sterling Square. Friday afternoons in the summer, they host a weekly New England Clambake from 12-3! This Instagram sensation (and deservedly so) was recommended to me by a Find subscriber, and while, I have driven passed it countless times, I'm remiss to say, I never stopped. And, worse than that, I missed it! After hearing about how special it was, I zoomed right over but the main French lavender bloom (early July and lasts 2 weeks) was over and the fields were cut! I recommend that you put a calendar note to call them in late June 2017 to time the bloom perfectly. If you just can't wait until next summer to frolic in the photo nirvana of 17 acres of lavender fields, there is a mini, second English bloom late Summer/early Fall to see. You can pick your own lavender (call before going to confirm) and take lots of photos, and tag/hashtag The Find! Go Shuck Yourself! Really! Get a bucket, pair it with brew, bubbles or local wine and get busy shucking your own oysters (you don't have to, but why the shuck not). This is the absolute definition of the un-Hampton, get smelly and get to work … it's why you're here (for the experience) and it's so worth it. The first few times I tried to go, they weren't open and that was annoying, so these are the hours: Wed/Thursday: 5-8, Friday 12-9, Saturday/Sunday 12-9. Now in closing, I swear this time, consider the Northfork refound and Sparkling Pointe, One Woman Winery, 1943 Pizza Bar, American Beech, Lavender by the Bay, and Little Creek Oyster Farm and Market Found (and me, exhausted)!